Wicker Park is well known for its many unique shops and abundant restaurants. The neighborhood is also conveniently located in an area with plenty of public transit making the neighborhood likable for people with jobs in the downtown area. Wicker Park has seen a decrease in crime over recent years as well as a young population moving in. Many older homes have been restored and new homes are being built. As a result of the increase in desirable homes, restaurants, bars, and shops are leasing properties in Wicker Park to service the demand for trendy food, drink, and apparel. 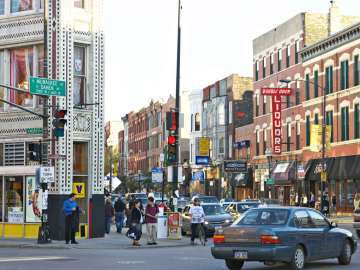 In fact the most defining quality of Wicker Park could be the neighborhood’s reputation for fostering musicians, fashion boutiques, gourmet restaurants, bakeries, cafes, independent grocery stores, and art studios.